ITSMedia can provide video and audio recording services for in-classroom instruction. For classroom video and audio recording we would prefer two weeks of notice. Though we prefer a two weeks notice, we will do our best to serve you based on student and staff availability. ITSMedia will only tape classes in the regularly scheduled location of a class, at the regular time. All other class agenda is subject to approval and will be decided on a case by case basis. How quickly do you need this file? How would you like to receive this file? If ITSMedia cannot provide you with services we have a vast pool of checkout equipment available for staff and student use. We have competent and friendly students who will train you on the equipment you’re using for your event or class. We have two cameras available for checkout. 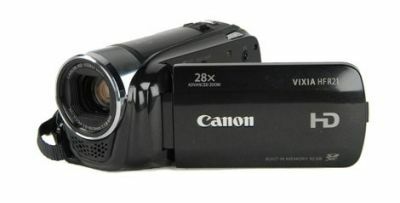 These are digital camcorders that record on a provided 16gb SD card. Cameras are available for use by GC faculty, staff, and students. 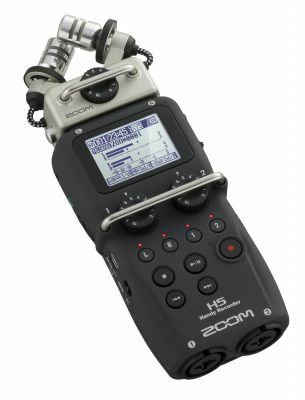 We have five Zoom H5 digital recorders for recording audio. Each recorder comes with a USB cable which can easily be connected to a computer in order to download the audio files. The recorders are available for general checkout by GC staff, faculty, and students.